I’m not one for junk food. I would never buy a candy bar or a bag of chips. But, once in a blue moon I crave something that feels sinfully unhealthy. 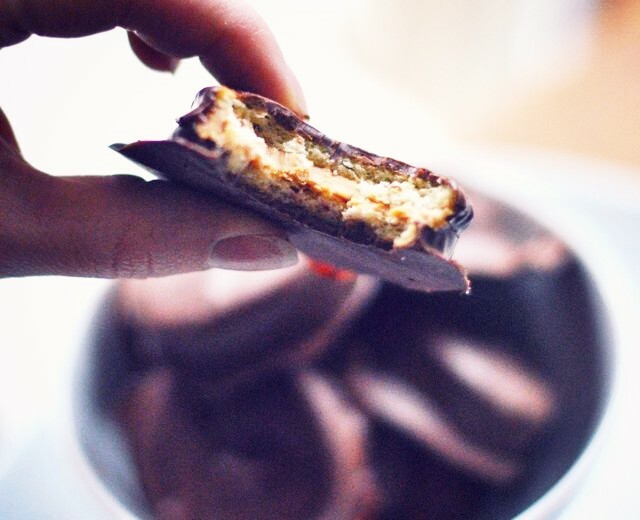 I used organic peanut butter, crackers and chocolate and the result was salty-sweet perfection (sans too much guilt). 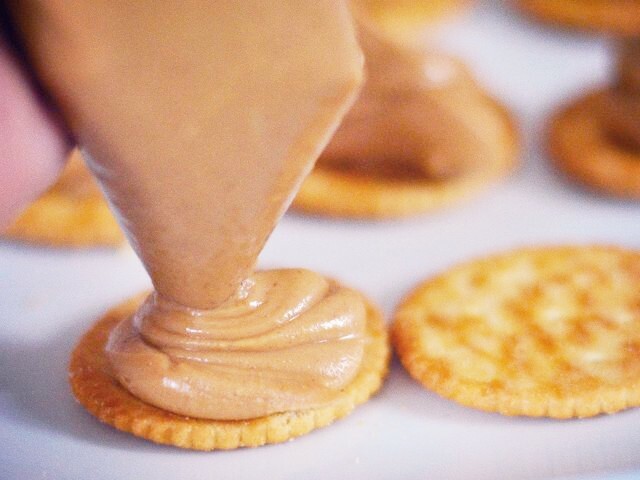 Spoon peanut butter into a Ziplock bag. Cut off a corner and pipe on to crackers. 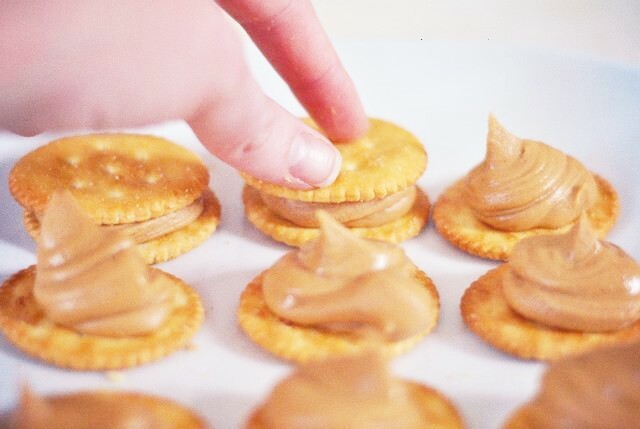 Make sandwiches and then place in the fridge for 30 minutes. 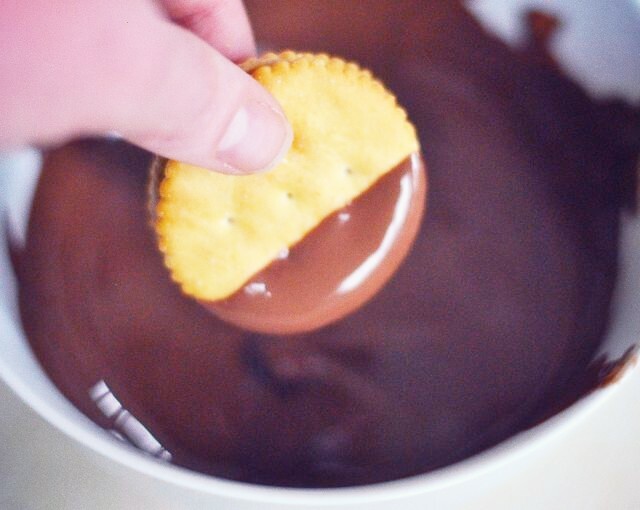 Melt chocolate in a bowl and dip sandwiches, letting the excess drip off. 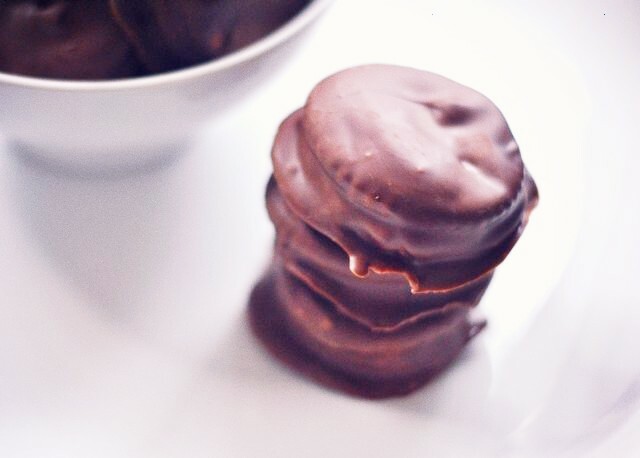 Place on wax paper and let them cool in the fridge for an hour. 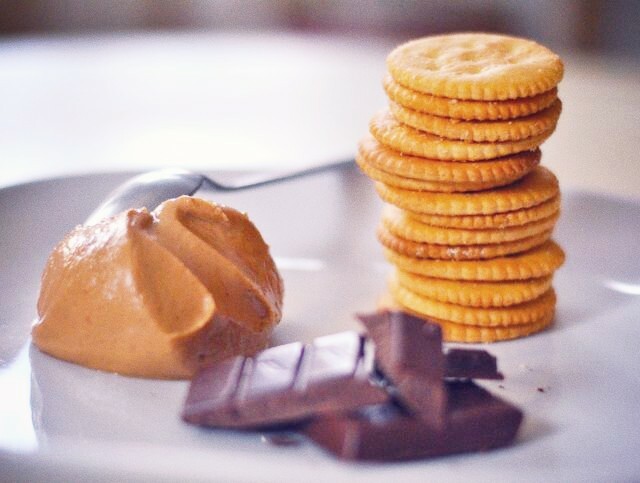 This entry was posted in Cooking and tagged Chocolate-covered peanut butter Ritz. Bookmark the permalink. Some body should make these and sell them. Yummy Yummy!!!! I can eat alot of this!!! !